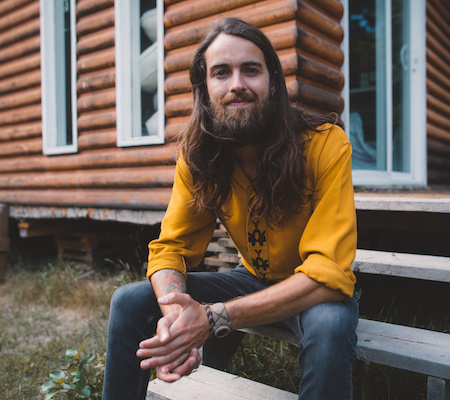 Manitoba based folk/roots singer-songwriter Logan McKillop is excited to announce the independent release of his 2nd full-length album Anchorless on March 29th, and today marks the release of the 3rd single 'The Learning Curve' after premiering yesterday at Aesthetic Magazine. Logan will be launching a tour of Western Canada in support of the new album starting on March 23rd in Northern BC, with Eastern Canadian tour dates to follow in May and June (dates to be announced soon). See below for complete Western Canadian tour schedule. Logan’s sophomore album Anchorless is a collection of songs that display his maturity as an artist. He co-produced the carefully arranged album with fellow musician Scott Nolan, while showcasing an all-star roster of Manitoba musicians. The 10 track album comes to life with the addition of a string section, piano, drums, bass, pedal steel, vibraphone, clarinet, banjo, mandolin, and a whole lot of harmony. Anchorless covers themes such as overcoming loss and addiction, as well as striving for personal growth, and this message comes through loud and clear on his new single ’The Learning Curve’. "I wrote this song at a time of my life when I was trying to become a better version of myself,” says Logan. "I was coming to terms with the fact that I was making a lot of mistakes and trying to learn from them. This song is ultimately about self forgiveness, growth, and using creativity to overcome hardships." Equally skilled as a wordsmith and guitarist, Logan is unafraid to delve into what's real, exploring the highs and lows of the human condition with absolute honesty. He's been a full-time touring musician for the last 4 years, and has toured extensively across Canada and Europe. Notable past performances include the Winnipeg Folk Festival, CBC Radio, the BBC, and 4 separate Home Routes house concert tours throughout the Yukon and NWT. He received national praise for his 20 song debut album Prairie Skyreleased in 2013. Logan's latest single 'The Learning Curve' follows the release of the album's 1st single 'Days Of My Demise' on February 8th, and the 2nd single 'Mother's Love' on February 22nd.